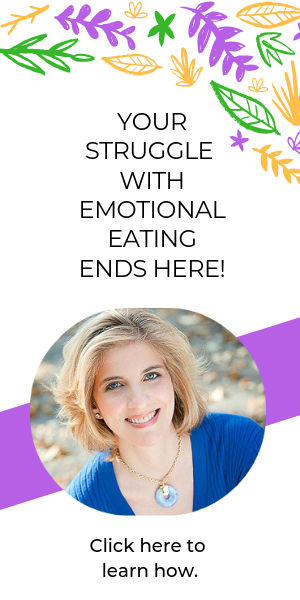 Are you frustrated by diet fads and self-help books and can’t figure out what is right for you? Do you make decisions about food based on your emotions? Are you overwhelmed by food choices and media messages about what is good and bad? Do you blame yourself for submitting to sugar cravings that overpower you? Do you find it difficult to “stay on track” with diet and exercise? Are you consumed with doing what you think you “should” do and not thinking about what truly makes you happy? Do the demands of your career control your life? Is it sometimes difficult to discuss your struggles with family and friends? Do you just wish you could get the support you need in a private, non-judgmental manner? If you a nswered “yes” to any of the questions above, I know how you feel. I used to be in your shoes. I was considered a “type-A” perfectionist and would stop at nothing to make sure everyone around me was “pleased” with my actions. As the stress and pressure grew overwhelming, I turned to food, specifically sugar, to help me get through the day. The “sugar high” made me feel “good” and gave me the energy I needed to get through the day. Candy stores were my best friend. My life changed when I was referred to a health counselor. After one conversation, I was motivated to make changes to my diet. Over the course of our sessions, I lost the weight I was desperate to lose AND I cleared my mind of mental clutter. I am grateful every day for the love and support I have been given by my health counselor. For my full story, please read my Interview with Jodi. Can one conversation change your life? YES. Contact me and let’s get acquainted (an $87 value for free). Bravo! Wellness is about you – for the BEST performance of your LIFE. Tell me about YOUR challenges and YOUR goals. We will discuss how you CAN have everything you want, whether it is to feel good in your body, successful career, nurturing relationships, YOU NAME IT. Health Counseling is a unique, exciting innovation in health and nutrition. I have studied all the major dietary theories and will help you discover what approach works best for you at this point in your life. I have also been taught by the greatest leaders in the mind/body/spirit connection and understand that all must work congruently to achieve your dreams. As a holistic health counselor, I am a nutrition expert, wellness authority and supportive coach – a caring, knowledgeable soul who will guide you to YOUR BEST. Most dietitians and nutritionists focus on calories, carbohydrates, fats, proteins, and restrictions (lists of good and bad foods). But, no one diet works for everyone. At Bravo! Wellness, I explore different ways of eating and create manageable lifestyle changes so my clients are able to reach their goals and maintain a healthy and fulfilling life. I practice a holistic approach to nutrition and well-being, looking at how all areas of an individuals’ life are connected. I work with my clients to create a happy, healthy life in a way that is flexible, fun and free of denial and discipline.